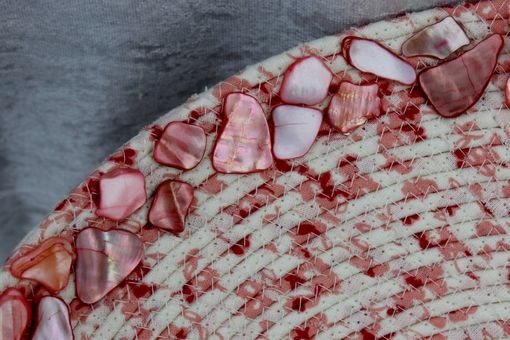 This V-SHAPED BOWL has been crafted by hand wrapping strips of fabric onto clothesline and then machine sewn with a zig zag stitch. Colors of pinks and white. 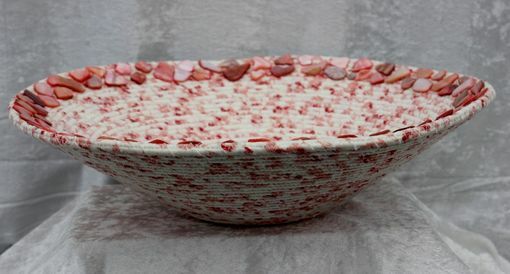 Inside, top of bowl is embellished with pink, glossy stones. Top of bowl measures approx. 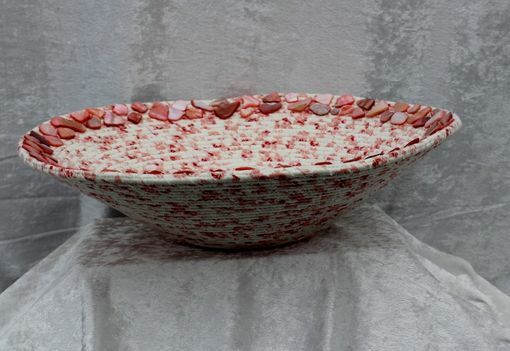 12 inches in diameter, base of bowl measures approx. 3.5 inches in diameter. Bowl stands approx. 3.5 inches tall/deep. 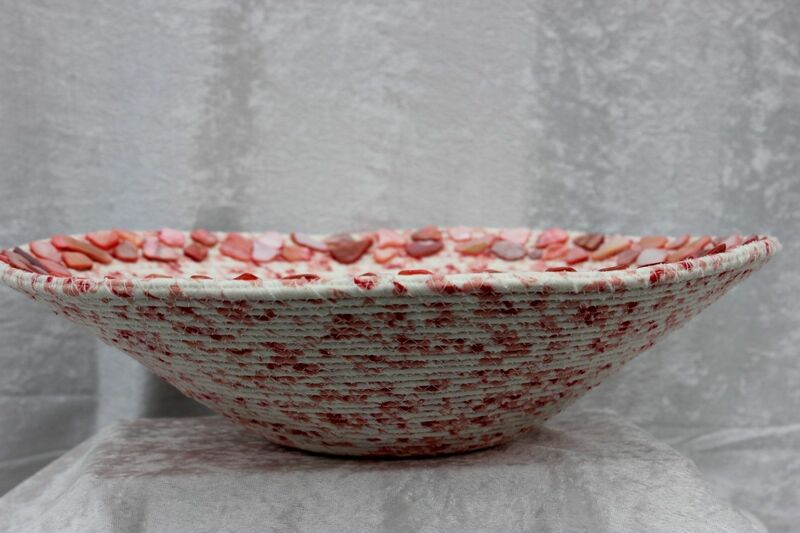 This piece would also be a beautiful wedding/shower gift idea. Fill it with bath, kitchen, or registry items, wrap a bow around it, and take it to a bridal shower! 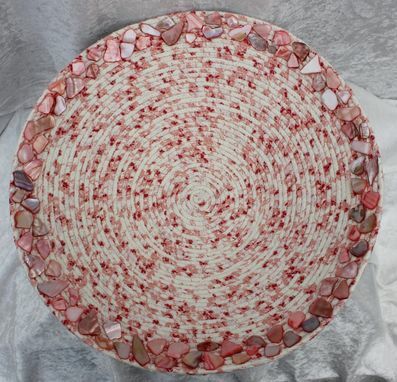 *Price span is to encompass degree of detail including embellishments and lid.